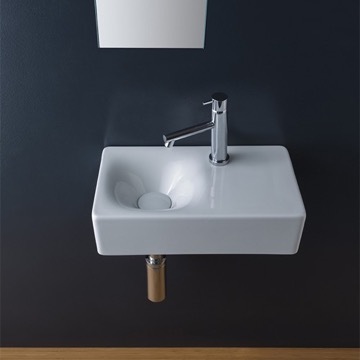 Perfect for the modern or contemporary bathroom atmosphere, this wall hanging 33 inch bathroom sink is made from built-to-last white ceramic. 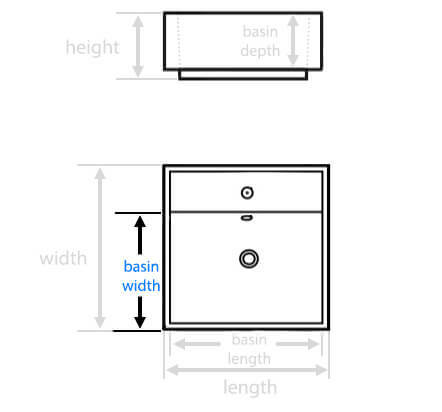 It comes in a one hole or three hole option. It was made in Italy by Scarabeo as part of their Etra collection. 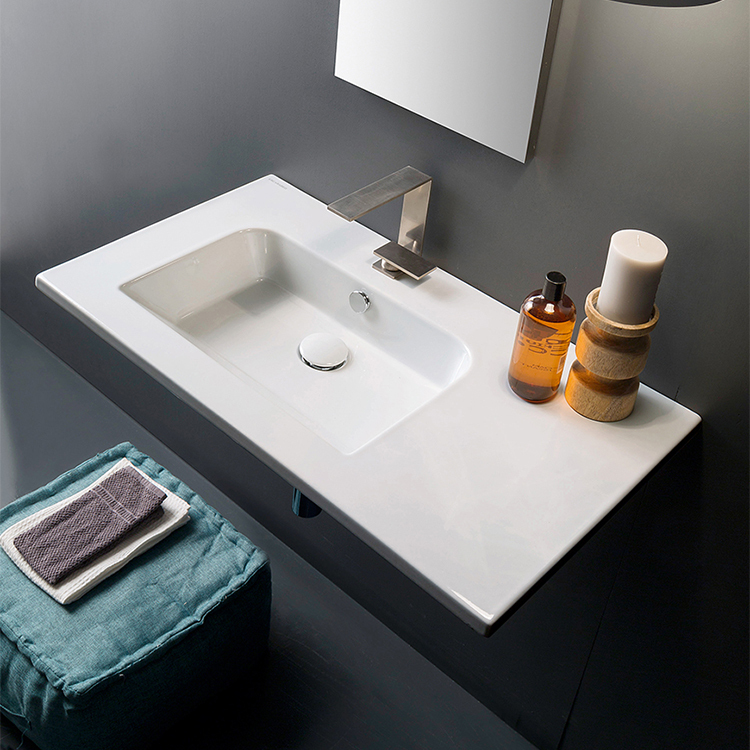 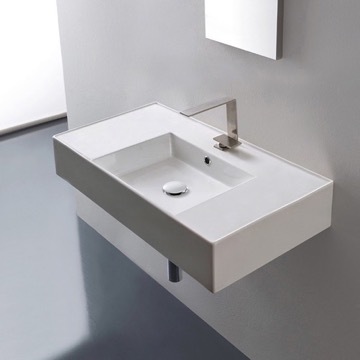 From Scarabeo's exclusive collection, Etra, this sleek wall mounted bathroom sink is made of high quality ceramic and feautures counter space. 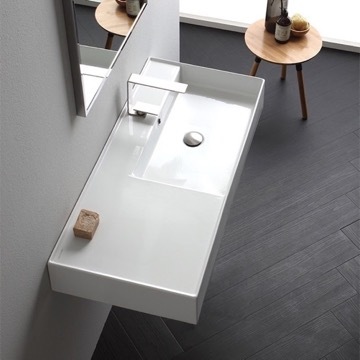 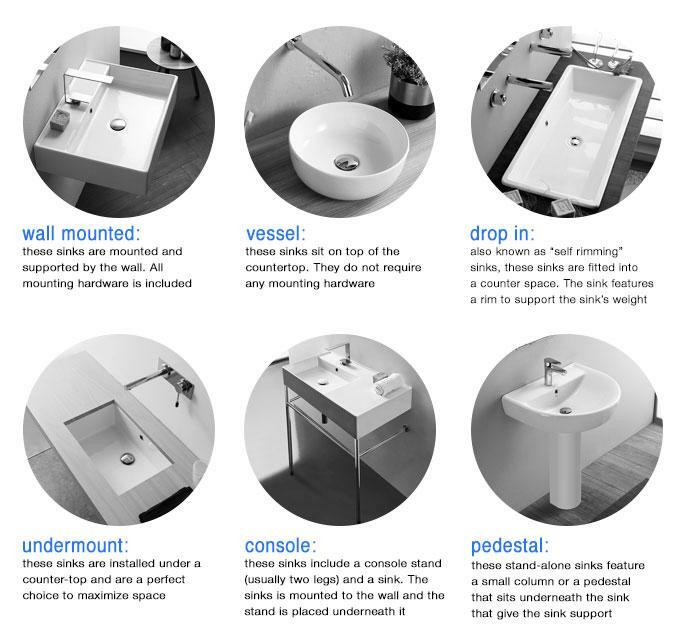 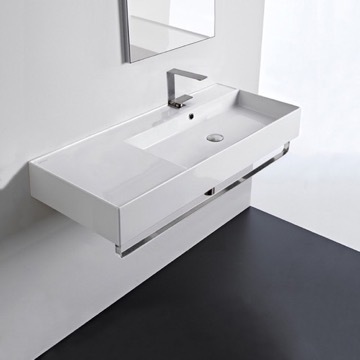 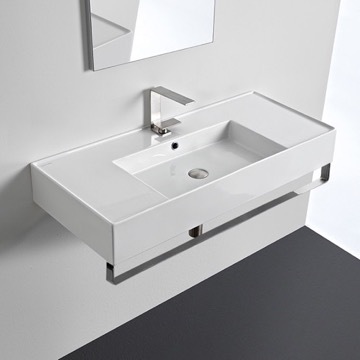 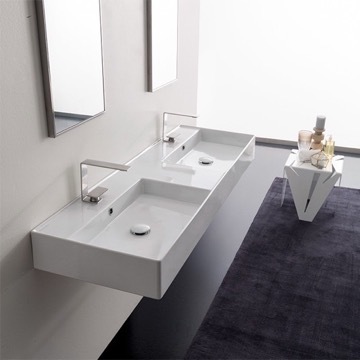 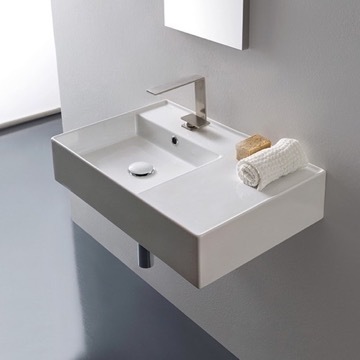 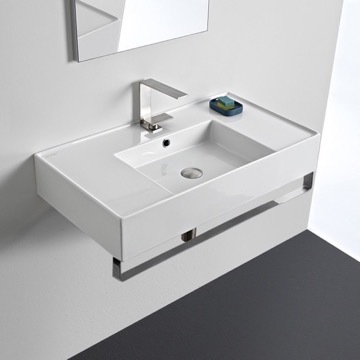 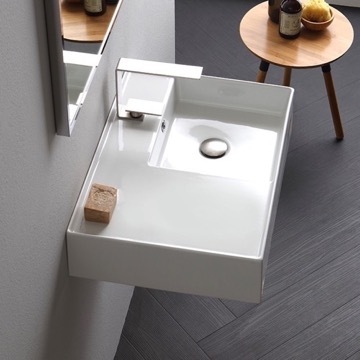 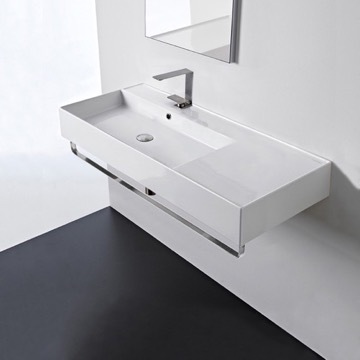 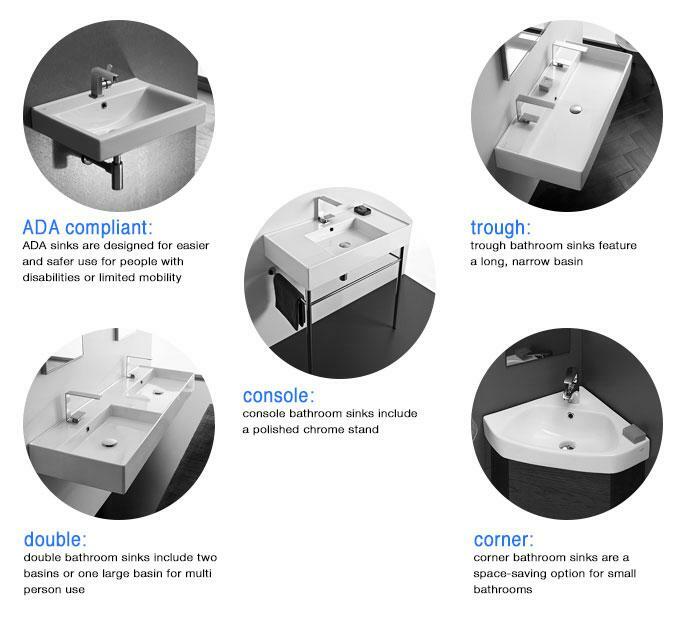 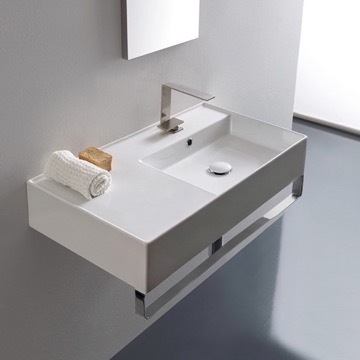 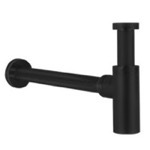 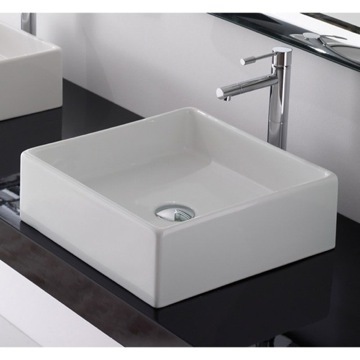 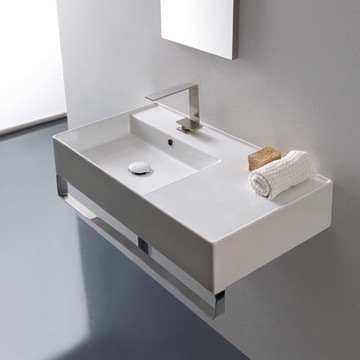 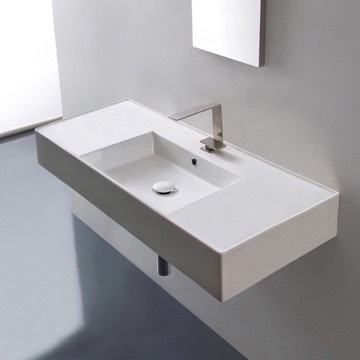 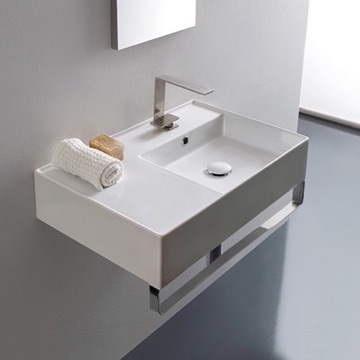 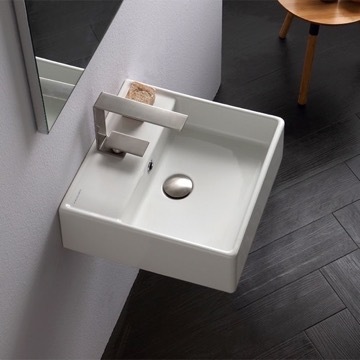 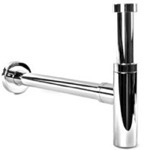 This sink is perfect for modern bathrooms and is ADA compliant. 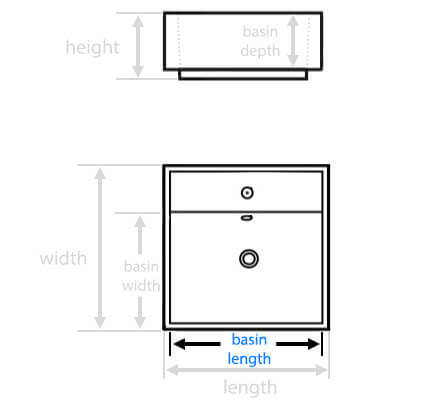 How big is the counter space on either side of the basin? 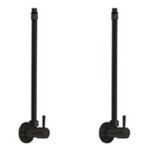 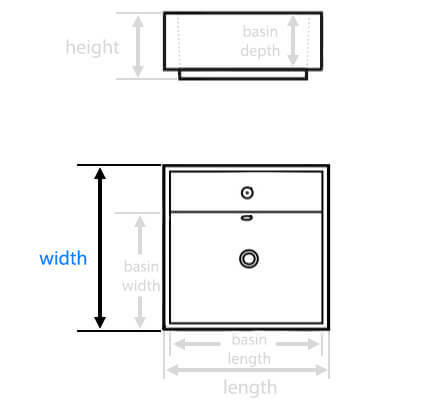 There will be 4.25" to the left and 12.55" to the right. 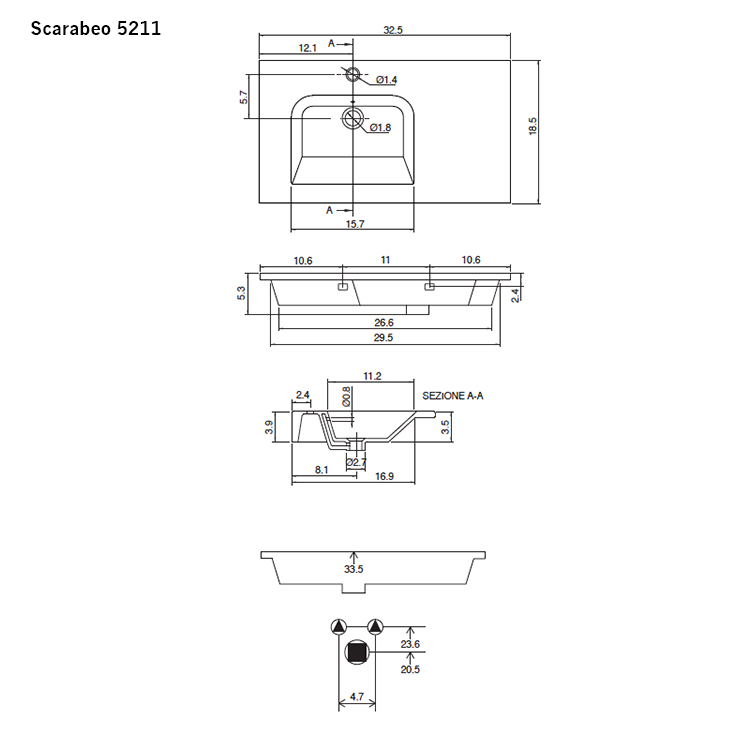 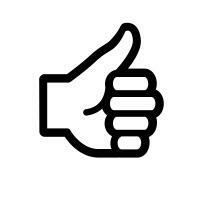 Please see the image below. 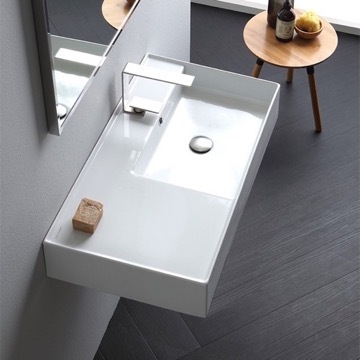 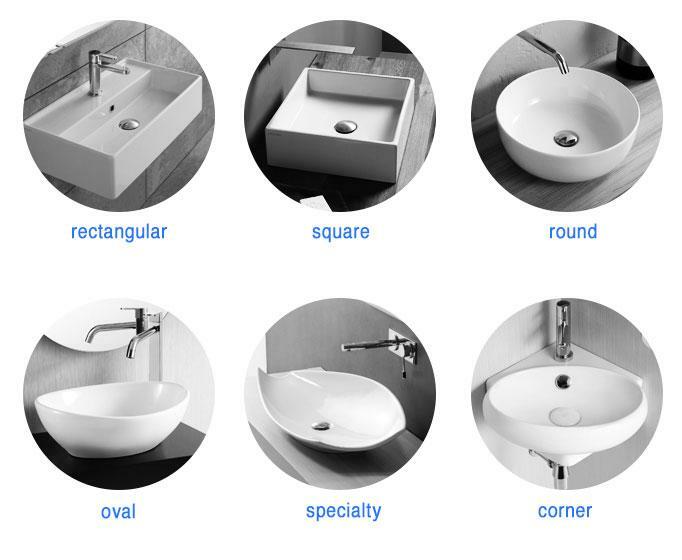 Is the countertop completely flat side-to-side and back-to-front, or does is slope inward toward the basin? 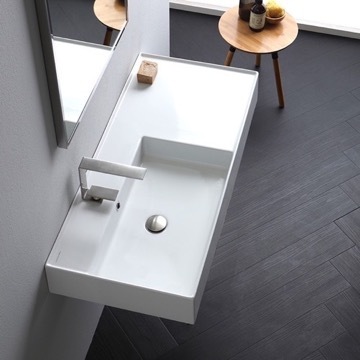 The counter top on the sink will be completely flat all around. 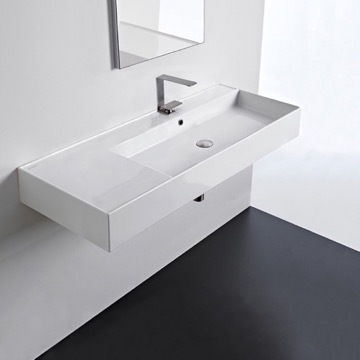 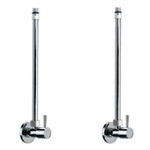 However, the basin of the sink will be slightly sloped to allow for water to flow towards the drain. 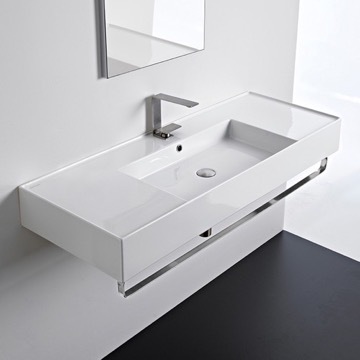 Does this sink come with the overflow chrome button? 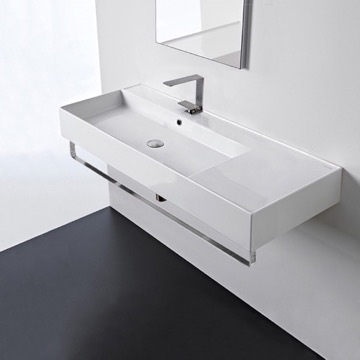 Yes, this sink will come with an overflow cap in polished chrome. 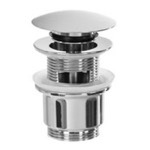 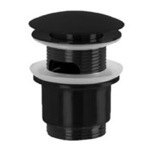 While this cap is not available in alternative finishes, it serves for decorative purposes and can be removed. 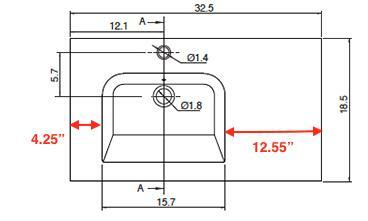 In the 3-hole option what are the hole offsets? 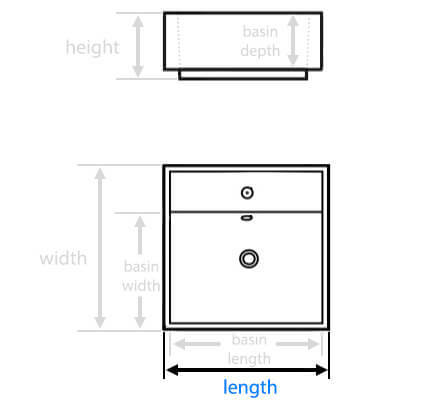 4" or 8" or something different? 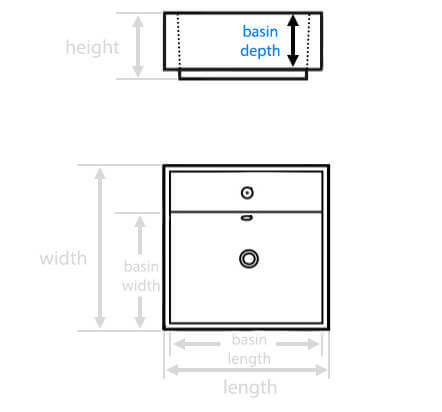 The 3-hole configuration for this sink will be a standard 8" spread. 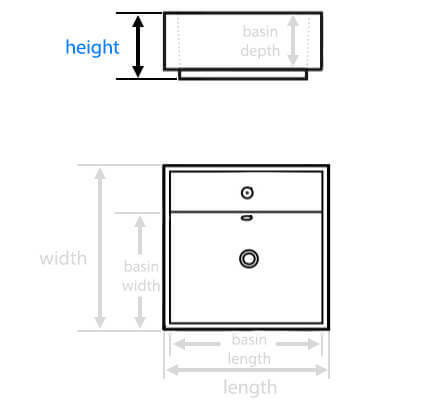 can this be ordered no hole? 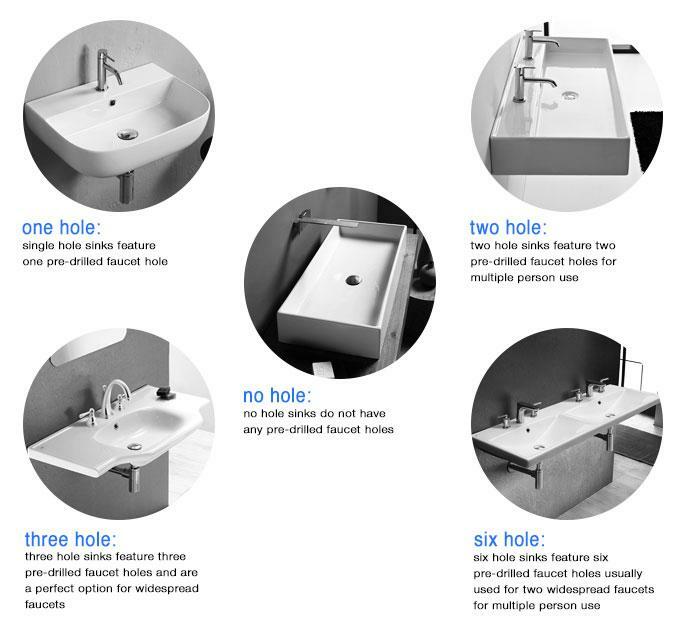 Unfortunately, this sink is only available in one or three hole option.